The Pet Butler of Waxhaw’s mission is to keep the North Carolina town of Waxhaw’s pet routines consistent and comfortable! The Pet Butler, Gina, enjoys practicing obedience and creating a special bond with every animal. 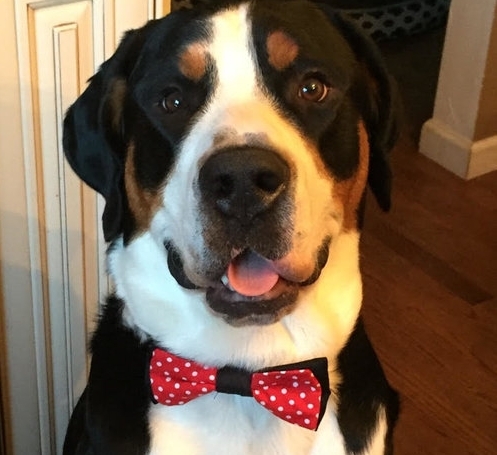 She wanted her logo to emphasize her business’s tagline “The Pet Butler of Waxhaw is at your service!” while also taking on the character of her dapper Greater Swiss Mountain Dog, Blaze.